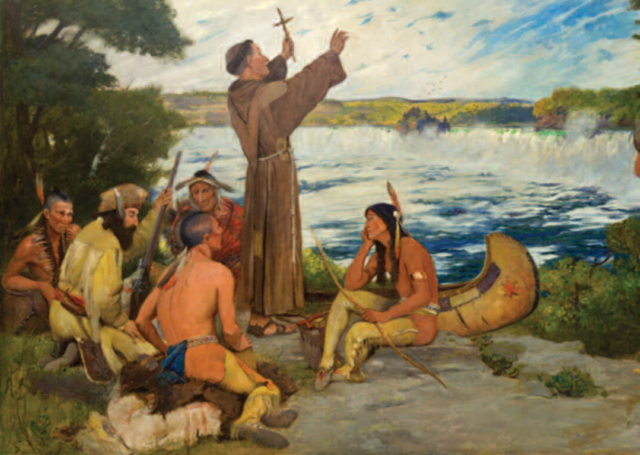 Two paintings that once hung in the Governor’s Reception Room, “Father Hennepin Discovering the Falls of St. Anthony” and “The Treaty of Traverse des Sioux,” are moving to newly created exhibit space on the third floor of the renovated Capitol where expanded interpretation can be provided. The new exhibit “Reconciling History: Views on Two Minnesota Paintings,” opening Aug. 11, focuses on multiple perspectives on the paintings and on their history, meaning and context within the Capitol. Visitors will be able to see the paintings up close and explore interpretive panels that feature biographical information about the artists, a description of each artwork, and multiple current perspectives on the pieces. 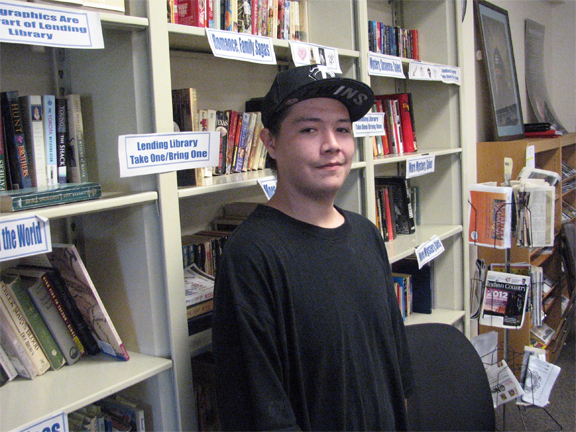 The exhibit was developed by conducting video interviews with historians, art experts, Ojibwe and Dakota community members and descendants of European Americans who settled in Minnesota. Excerpts from the interviews are featured in the exhibit, and the video interviews will be accessible online at www.mnhs.org/capitol beginning in August. 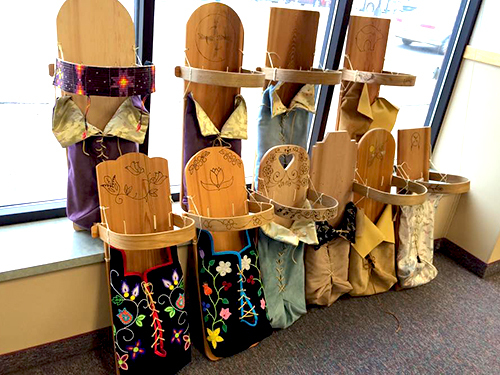 In addition, visitors will learn about American Indians in Minnesota, including their history and contributions today, and the importance of sacred sites, ties to place, communities and identities for Minnesota’s Native peoples. The renovation of the Minnesota State Capitol provided an opportunity to address issues relating to the Capitol’s extensive artwork – specifically, its historical significance and how it reflects all Minnesotans. Following public input, decisions were made in December 2016 to relocate these two paintings from the Governor’s Reception Room because of their inaccurate depictions of American Indians and because of their prominent placement in a room where government business is regularly conducted. Another painting “Attack on New Ulm” was removed from display at the Capitol because it was not original to the space and represents a single painful moment in American Indian history. This fall, visitors can see Attack on New Ulm: One Painting, Many Perspectives on exhibit at the James J. Hill House art gallery, Sept. 16, 2017 through Jan. 18, 2018. The painting will be supported by additional historical context and multiple interpretations, and visitors will be asked to share their own thoughts about its meaning. The painting “The 8th Minnesota Infantry (Mounted) in the Battle of Ta-Ha-Kouty” was also removed from the Capitol because it was not original to the space and represents a single painful moment in American Indian history. It is not currently on exhibit. For more info, contact Lauren at 651- 259-3137 or lauren.peck@mnhs.org.